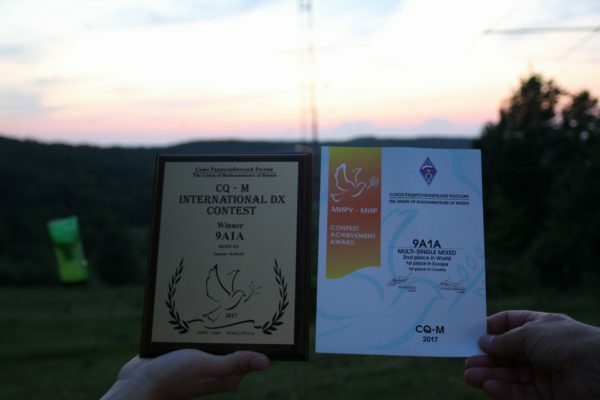 On the weekend around 12th of May the annual CQ Mir International Contest took place. Together with a group of youngsters from Bosnia and Herzegovina, Croatia, Germany and Austria I had the chance to take part from a Top-Gun station in Europe. I met this group only thanks to an initiative from IARU Region 1 Youth-Group. For some years, Youngsters On The Air have given the opportunity to compete in an ordinary station without any qualifications and prior knowledge. Of course, I did not miss this opportunity! Part of the YCP-Team were Philipp (DK6SP) and Flo (OE3FTA). We met on Friday afternoon in the new club station of the ÖVSV in Vienna. From there we drove together to Croatia. After a few hours of driving, we were warmly welcomed by the team around 9A1A near Zagreb. Another youngster from Bosnia and Herzegovina, Emin (E71CQ) and some young people from the area around were already on site. We started with the most important thing: the food. After a good portion of Spaghetti we where ready to go on. It was time to get to know the station. My first job now was to get at least 300 Americans into my log. So called “Warmeup”. 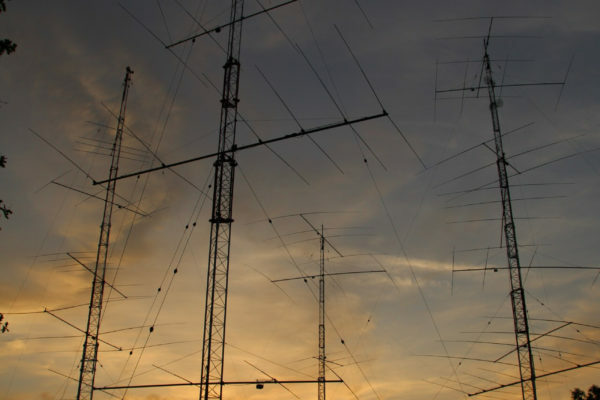 With such a setup, 4 towers with a height of 45 meters each, equipped with uncountable stacked monoband antennas, this task was done relatively quickly. So I was granted a few hours sleep. In the morning it was setup time. There were six stations to configure and prepare for the competition. The team had managed incredible 2 million points last year, and claiming first place worldwide. This position, No 1 World, had to be defended this year. As a multi-single Station, multiple operator but only one signal on the bands at any time, we have been active on three bands simultaneously with an interlocking system. 24 hours mixed mode CW and SSB stood in front of us. After a hard night and a short power outage last year’s result unfortunately remained untouchable. 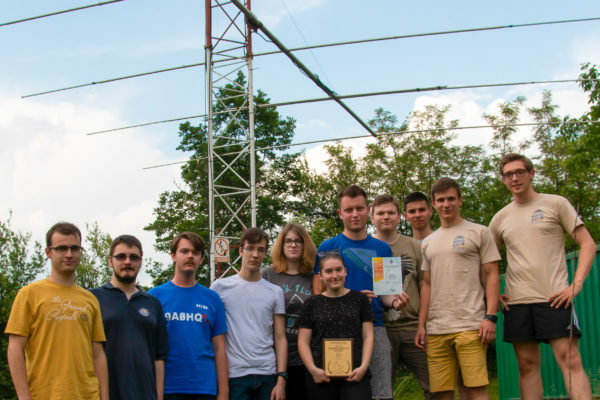 Thanks to the amazing team and incredible station setup we achieved solid 2100 QSO`s and this resulted in 1.44 million points. A big thank you to the croatian radio amateurs whom I was allowed to support for a weekend! In my opinion, the Youth Contesting Program of IARU Region 1 was a great success. I am looking forward to next year!